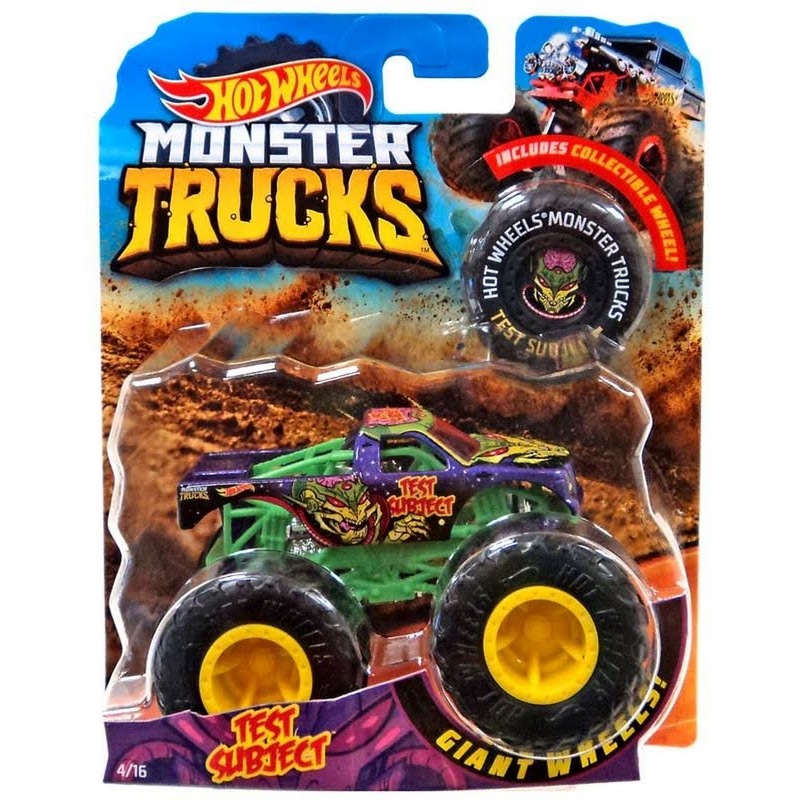 Check out out the new Monster Truck I worked on for Hot Wheels with an Area 51 / escaped alien theme , The Test Subject. These are exclusive to Walmart and available in both 1:48 and 1:24 scale size. On July 6th, I will be joining several talented artists for this year's Art Salvo show at Clash Consignment in the Oregon District (Dayton, Ohio). 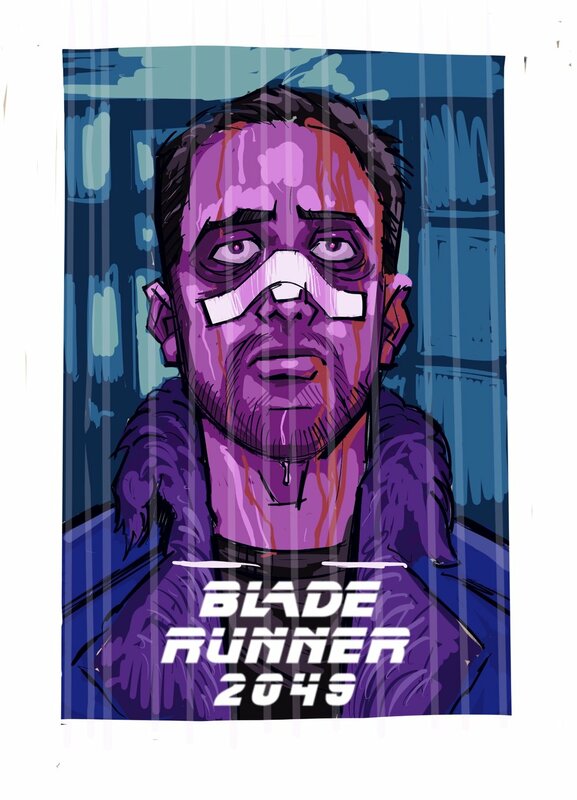 The theme this year is movie posters / movie related art and I chose to do a piece based on Blade Runner 2049. When I think of movies a lot of times I think of moments in them that stand out to me. Like for instance in Taxi Driver, for me it’s the moment Travis Bickle is outside the cafeteria talking to Wizard or watching American Bandstand as people dance to "Late for the Sky" by Jackson Browne. The moment I chose (spoilers to follow) is near the end of the movie, where K, the main character, a replicant (aka artificial human) lives a lonely life tasked with hunting down older models of his kind and his only source of friendly interaction is with a female A.I. hologram named Joi. At one point her only digital copy is destroyed and not too long after K finds out that something he had discovered about his origin , and thought made him special, was all a lie. After these two devastating events he finds himself wandering somewhat aimlessly in the rain and turns to sees a gigantic advertisement for the exact same Joi A.I. She talks to him but she sounds different - slightly more aggressive and just views him as a stranger / prospective customer. There’s another scene in one of my favorite movies that felt similar to this - In Boogie Nights, Mark Wahlberg’s character Dirk Diggler goes to a drug dealer’s house when he and his friends try to pass off a bunch of flour / creamer as coke. There’s this moment where the camera just hovers on him and you see the moment a human has hit rock bottom. His expression changes from being totally oblivious and strung out, to “What the hell am I doing here?” and then he rises from his seat to get out of there. I remember that moment when I saw it in the theater and how brilliant I thought it was. I saw a similarity in this moment with K. Realizing that Joi just does, as the advertisement says, what he wants to see and hear, and that compounded with the revelation about his origin, you can see he’s hit rock bottom (or at least that was my interpretation). He tears the bandages off of his face and looks down at his gun and you get the sense that he’s about to end it. But then they replay something another character said to him about purpose and doing the right thing and you sense that turn / rising from rock bottom. The main theme of the Blade Runner movies is about what’s real and what it means to be human so I thought this scene totally encapsulated that and the overall feeling of those movies for me. Followed by a quick color comp in Procreate on my Ipad. Originally the plan was to paint the final in acrylic but after weighing some of the pros and cons of working analog vs. digital I decided to go the digital route. I worked in Procreate up until a certain point and honestly there were a lot of moments where I wondered if I should scrap it and start over as a physical painting. Just felt like I was spinning my wheels. A lot of this was because of realizing my drawing’s resemblance to Ryan Gosling just wasn’t there and I found myself turning on the voice of an art director in my head to steer me a little. At a certain point I moved my file from Procreate to my desktop and finished things up (added texture, adjusted colors, lettering) in Photoshop. Be sure to check out the Art Salvo show at Clash Consignment opening July 6, 2018 and running till July 28th. Another thing I’ve worked on that’s finally seen the light of day is a custom pinball machine created by Jeremy Wilson. I saw a post (I believe on Facebook) looking for an artist who was interested In working on backglass art for a custom pinball machine project. Jeremy was familiar with my work through the gigposter scene and thought I was a good fit. He knew right off the bat what he was looking for and sent me a very detailed layout / comp as a guide. Here’s the final art as well as a picture of the finished pinball machine which he debuted at the Midwest Gaming Classic (and won an award for best Indie Game). Also here’s a super detailed post showing the entire process Jeremy went through transforming an old existing pinball machine into Hot Rod. Those pics of all those wires give me a panic attack. Drum roll pleeeeeeeeeease. This is it! I know, I know. It doesn't have a lot of bells and whistles but it gets the job done till I figure out all the ins and outs of Squarespace. So kick off your shoes and take a gander.